Taxpayer Representation, Tax Prep/Practice Management, SEE Review — all at the 2011 NAEA National Conference! NAEA earned its reputation for educational excellence with the National Tax Practice Institute ™ (NTPI®), the country’s only annual educational event designed specifically for Circular 230 practitioners seeking to specialize in representation of clients before the IRS. In 2010, NAEA expanded the event to include two additional tracks featuring a robust Tax Preparation/Practice Management track, including a day to “Build Your Business” with essential information that will recharge your career and an intensive Special Enrollment Exam (SEE) Review track for experienced tax preparers who have decided the time is right to become an EA! Get ready for a better, even more substantive tax education experience with top-notch instructors at the 2011 NAEA National Conference! National Tax Practice Institute ™ (NTPI®) – Circular 230 Practitioners Only! IRS has stepped up its focus on enforcement — now is the time for you to step up to NTPI, an annual, multilevel course of study focused exclusively on taxpayer representation! By attending NTPI, you’ll increase your knowledge, confidence and expertise at representation, giving you a professional edge with current and potential clients. Click here for course descriptions for Level 1, 2, 3 and the Graduate Level in Representation. Building a successful practice requires two very different, but essential, components: tax expertise and a well-run business. This rigorous, interactive track is designed to increase your skill at both. In the Tax Prep courses, nationally-known instructors will take tax issues that are notoriously challenging, tear them apart and reassemble them so that attendees will take away a strong understanding of even the most complex problems. The Tax Practice Management workshop, “Build Your Business,” offers courses that will help you lay a solid foundation for your practice by teaching you how to manage profitably. Learn best practices for client management, policies and procedures, staff management, marketing your firm and electronic media. Intensive SEE Review Track – Experienced Tax Professionals Only! There are a lot of excellent reasons to become an enrolled agent (EA). Earning the EA credential establishes your credibility and gives you a distinct market advantage in the competitive tax prep industry. Additionally, EAs don’t depend on seasonal business — representation is in demand year-round. And with IRS’ recent move to increase oversight of return preparers, many in the tax community have concluded that now is the time to sit for the Special Enrollment Exam (SEE) and take their careers to the next level. The clear pathway for those intending to take the SEE to become an EA is attendance at the one in-person review course provided by the only organization dedicated to enrolled agents: NAEA. In just three days, you’ll review all three sections of the SEE in the beautiful surroundings of Mandalay Bay Hotel and Casino! Register early and save! The early bird discounted conference rate is available on registrations postmarked on or by Monday, July 11, 2011. For more information on conference pricing, full course descriptions, hotel booking, and to register, visit the 2011 NAEA National Conference website! 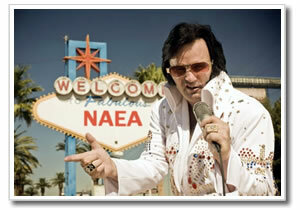 Or view the 2011 NAEA National Conference online brochure! Sharpen Your Skills at the Nation’s Premier Tax Education Event! Earn up to 25 CPE credits! This entry was posted in *AskTaxMama Newsletter, *Education, Reviews and Recommendations, Tax Education and tagged Business/Finance, client management, electronic media, Enrolled Agent, Finance, Internal Revenue Service, Mandalay Bay Hotel, NAEA, National Tax Practice Institute, ntpi, Offer in compromise, Omni financial, online brochure, representation, staff management, Tax, tax education, Tax Information, Tax preparation, tax tips, Taxation in the United States, TaxMama, Taxpayer Representation.